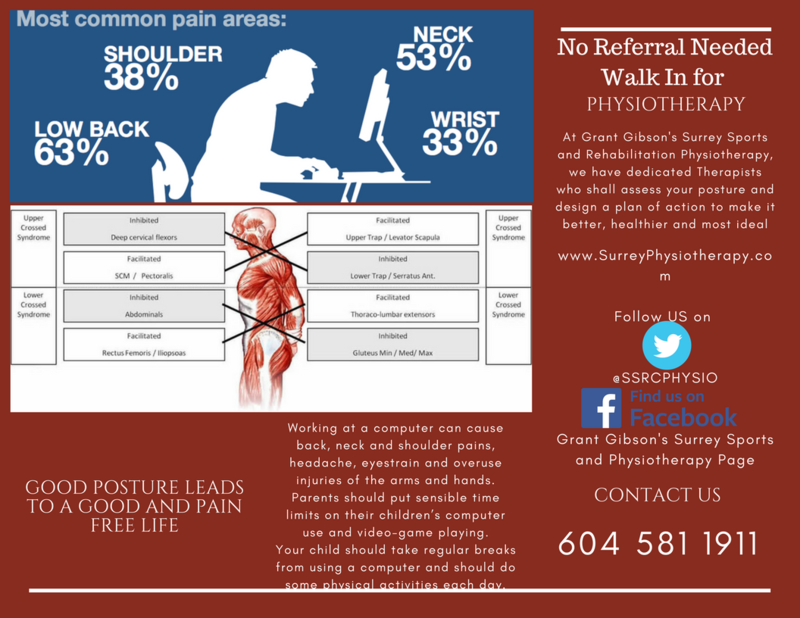 Check out the latest advice on physiotherapy from Grant Gibson’s Surrey Sports & Rehabilitation. You can read our latest blogs to learn more. If you have any questions about physiotherapy or other services we offer, please contact us. Be sure to visit this page frequently to see what new blogs have been added. 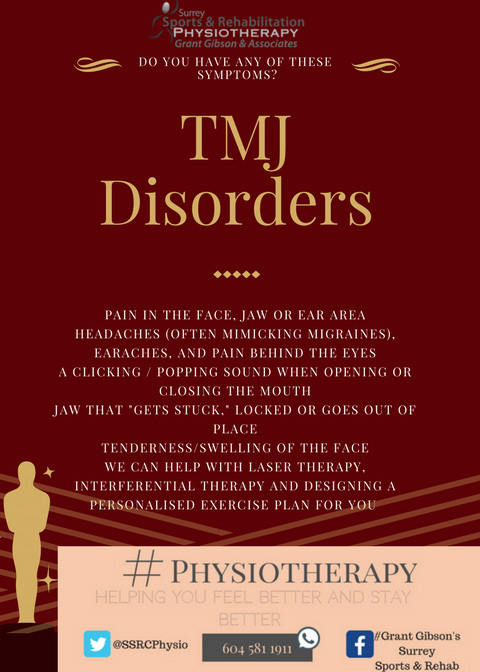 The Temporomandibular Joint (TMJ) is one of the smallest and most intricate joints in the body and therefore fairly complex to treat when dysfunction occurs. The TMJ is located in front of your ears and is where the temporal portion of your skull meets your mandible (or lower jaw). Most people think of the joint as a hinge joint, which is accurate, but there is also an aspect of glide/sliding that must occur for actions such as chewing food. 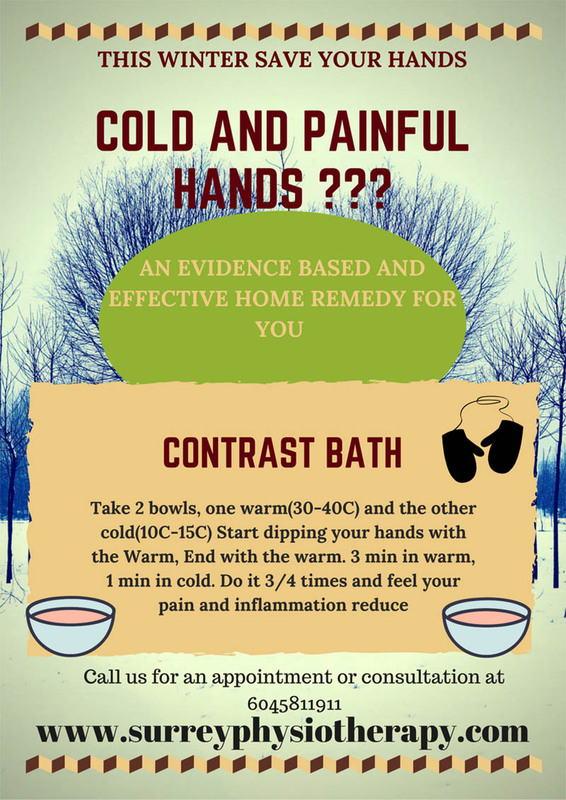 Contrast bathing is a great way to increase circulation and reduce pain with many muscle, bone or skin symptoms such as aches, pains and inflammation or flaring of symptoms. So You Are Undergoing/Have Undergone Joint Replacement? At Surrey Sports & Rehabilitation, we believe that therapy begins at home. This information is for anyone who has undergone or will be undergoing joint replacement. At our clinic, we make personalised programs of rehabilitation for you and help you on the road to recovery. As the Canadian workforce becomes increasingly service and technology driven, more and more of us find ourselves spending the day sitting at a desk. This has its advantages and its drawbacks. One of the biggest drawbacks is that sitting for long periods of time can be very bad for your posture. 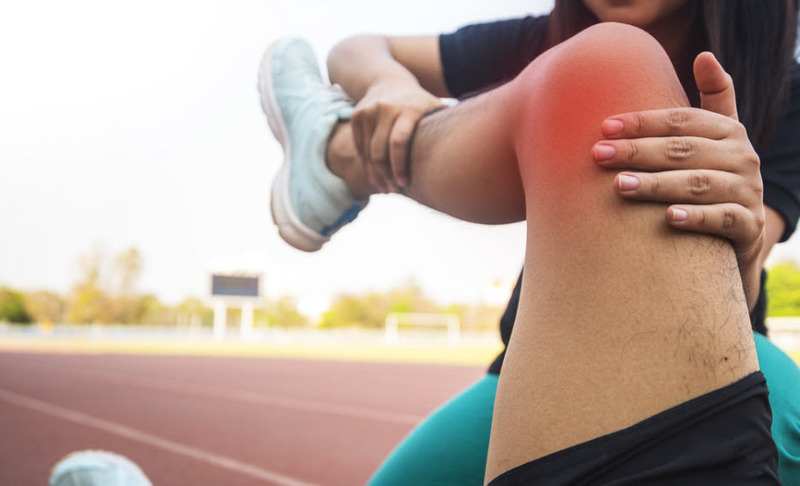 If you regularly experience muscle or joint pain because of your work routine, it may be time to visit your local physiotherapist at Surrey Sports Physio. Sports injuries are not uncommon, but being injured while playing sports can take you out of the game fairly quickly. Depending on its severity, such a mishap could even prevent you from participating in sports altogether. Whiplash, back, head, and brain injuries are the “common” results of a car accident and unless dealt with effectively, can lead to a lifetime of ever worsening suffering – and the sooner you start physiotherapy treatments, the better your results. If you’ve never been to a physio clinic before, you may not know what to expect. One of the most common questions that new clients ask physiotherapists in Surrey is whether or not their physiotherapy treatments will hurt. Here’s what you can expect from your physio sessions. Chances are that if you have a surgical procedure looming in the not too distant future, you have your concerns. Maybe you’re a bit nervous or even fearful? It’s perfectly natural to be somewhat apprehensive. You don’t know quite what’s coming or how you’ll cope. It’s not that you expect it to be a picnic, but you wish there was a way to make the whole recovery period less painful and less lengthy. Have you suffered a major injury that’s affecting the quality of your life? Do you need to visit a physio or sport injury rehab clinic in Surrey? Or maybe you’ve been injured in a car accident and you need to do physio as part of your ICBC claim. Whatever the case may be, don’t try to face or heal your injury alone. You could actually do yourself more harm than good. Planning out your physiotherapy care with a registered physiotherapist leads to faster recovery. Keep reading to find out more. Don’t sit with chronic pain symptoms – get help today!